Winter snow and summer sun are expected for the seasons. But do you know how each season is affected by the amount of light received at the Earth’s surface? 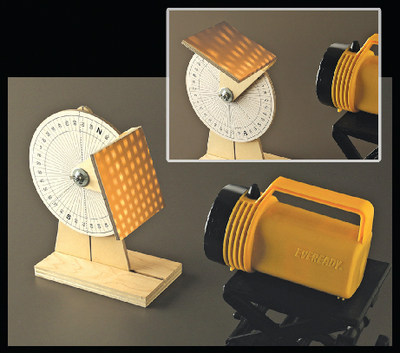 Eric Bandurski’s Angle of Insolation Protractor enables students to quantify how seasonal changes in incoming solar radiation affect the amount and intensity of light received at different latitudes. Includes instructions. Size: 21.5cm L x 20.5cm W x 29cm H. Grades 8–10.